When evaluating different clinics, many people may feel lost and uncertain as to which clinic they should choose. Often times people choose a clinic because it is close to their home or work. Searching for a “fertility clinic or doctor near me” isn’t always the best option. There are many factors to take into consideration when selecting an infertility specialist. California IVF Fertility Center in collaboration with UC Davis Health system is constantly pushing forward to new horizons in fertility treatment. While we have the science that allows us to do some very amazing things, it’s our people that really make the difference. During your treatment you will be working closely with the staff, physicians, and embryologists. The staff should be helpful and well informed. Experience in every aspect of a clinic is important to helping improve the care you receive. The doctor should remain current on the latest developments and technology and must have a bed-side manner that makes you comfortable. The embryology staff should be experienced, thorough, and dedicated to the absolute best outcomes. The facility should be purpose built for providing embryology services. A laboratory will have more difficulty running effectively without careful attention to air quality, temperature fluctuations, efficient layout, and emergency backup systems. 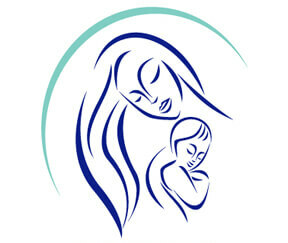 California IVF has a selected staff that are committed to patient satisfaction and outcomes. Our facility was designed and built with the purpose of supporting our laboratories and the scientific requirements to offer the best possible outcomes. You want to have your treatment performed in an fertility program where you can feel comfortable, welcomed, and cared for. At California IVF Fertility Center, you become a member of our family when you first make contact. Patients regularly comment on our family-like atmosphere and the people that work here. We strive hard to hear it again. We feel it is an honor and privilege that you would entrust us with your care, and allow us to participate in your journey to expand your family. Your trust is not taken for granted, nor is it taken lightly. We enjoy what we do and want our patients feeling a real sense of connection. Our work is life-changing and emotionally challenging. Things do not always go as planned and the journey to becoming a parent can be difficult. Our staff see people through the good times and bad times. Everyone at California IVF feels committed to making you feel like part of our family. The embryology laboratory lab and staff are usually considered among the most critical areas to evaluate when choosing a fertility clinic. You should inquire about the years of experience and the level of expertise of the embryology laboratory staff. At California IVF Fertility Center, our embryologists combine both hands on experience with scientific knowledge and technique. We are able to offer all of the advanced embryology technology currently available because of the level of experience and knowledge of our embryology staff. Our collaborative arrangement with UC Davis Health system also allows us to leverage our relationship with university researchers. California IVF has been working on improving standard techniques used in IVF labs and developing new techniques that improve upon existing services. Our infertility research and continuous process improvement has paved the way for many new and exciting services. Several lab advances have allowed patients to become pregnant after multiple failed cycles at other centers. Simply reviewing success reports won’t tell the whole story. We don’t turn patients away because they might lower our statistics. While there are certainly patients with more challenging problems such as poor egg quality, we see an opportunity to put our scientists to work. Our success rates are a further confirmation that we strive to provide the best possible care when you are having trouble getting pregnant. The frozen embryo transfer program is vital to the success of a woman or couple having a baby from infertility treatments. When extra embryos are stored for later use, they can significantly add to the chances of becoming pregnant without having to undergo another egg collection procedure. Frozen transfers are significantly less expensive than fresh transfers. A program that has an unsuccessful frozen embryo program will actually decrease an individuals overall chance of having a baby. A good program should have a clinical pregnancy rate with frozen embryos. If the pregnancy rate with frozen embryos is not good, future chances of pregnancy may be drastically reduced. At our center, 95% of our embryos survive the freezing and thawing process. Refinements in the freezing and thawing protocols have led to impressive improvements in the frozen embryo transfer success rates over the last few years. Due to these developments, many patients will freeze all of their embryos without a “fresh” transfer. After the ovaries have recovered from the stimulation with hormones, the embryos are transferred under gentler conditions. With the older freezing techniques, we have experienced a clinical pregnancy rate of 50% in 2006 and 42% in 2007. Using the newer method called vitrification, frozen embryo transfer success rates have been 70% or better for women under the age of 35. UC Davis Health System and California IVF Fertility Center have entered into a collaborative arrangement which allows California IVF to provide fertility services to patients and provide training opportunities to residents and students. Our combined academic and clinical expertise has allowed us to begin shaping the future of fertility treatments. We don’t want to claim we are using the latest technology, we want to develop the latest technology and laboratory techniques through infertility research. UC Davis Health System is recognized as a leading university medical system and California IVF is proud of the opportunity to make a difference for our patients and the future of fertility care. We have always offered very straight forward fee structures and pricing models. This minimizes the confusion about the total costs of services and avoids fees being added on at a later time. Our fees are clearly detailed here. Additionally, we welcome your questions about our fees. You will find our staff knowledgeable and willing to answer your questions regarding the cost of treatment. Keeping things simple also helps us to keep costs down. This allows us to offer services at very competitive prices. Many patients have told us that our program is much more affordable that other clinics in the area. You should investigate costs by contacting the clinic and asking for their fees if they are not readily available on the internet. Choose an infertility clinic that has a physician staff that is adequately trained and knowledgeable in all aspects of fertility treatment. The individuals providing care should also be compassionate and caring in the delivery of this knowledge and professional services. Dr. Zeringue and Dr. Goud are board certified specialist by the American Board of Obstetrics and Gynecology in both OBGYN and Reproductive Endocrinology and Infertility (REI). This is an internationally recognized award bestowed upon an individual who has demonstrated the knowledge and skills necessary for a practicing specialist or consultant in their area of expertise. In addition to certification by the specialty board, our doctors are members of multiple professional societies that have the common goal of advancing the scientific understanding or the specialty and advancing care for a wide variety of medical problems affecting women’s health. You can learn more about Dr. Zeringue and training related to infertility and in vitro fertilization by visiting this web page. Dr. Zeringue prides himself on keeping track of the most recent developments and ways to apply the latest technology to help women achieve their dreams of having a baby. He leads by example and sets the tone for his staff to always provide excellent quality patient care. Dr. Pravin Goud also holds a doctorate degree and has published multiple studies on oocyte physiology and fertilization. Clinics report their success rates for various age groups. There are many factors that can go into these success rates such as how open the clinic is to accepting an individual with poor chances of pregnancy. The number of embryos transferred and the number of triplets should also be evaluated. A clinic can increase their pregnancy rates by increasing the number of embryos transferred. Unfortunately, this increases the number of triplet pregnancies that will occur. It is inaccurate to look at a clinic’s success rates and interpret those results as an individual person’s chance of success. Overall numbers reflect a group average and each person may be higher or lower than that average. A more accurate assessment of a clinic’s performance is to assess their donor egg program, even if you are not planning to use donor eggs. When donor eggs are used with in vitro fertilization, the eggs are likely of very high quality with a very low rate of chromosome, or genetic, abnormalities. If a program has a good system for growing embryos, and the physician has a good technique for stimulating the eggs and transferring the embryos, the donor program will have a high success rate. A quality program will have a donor egg success rate exceeding 70% for the first embryo transfer. At California IVF Fertility Center, we have maintained over a 75% clinical pregnancy rate on the first attempt using two embryos formed from an egg donor. Another unique guidepost we use to assess our own performance is the success of the California Conceptions Donor Embryo Program. This program uses donor sperm and donor eggs. After 3 transfer attempts using one or two embryos, the cumulative success of that program exceeds 90%. This program also serves as an ongoing “control” population to monitor the lab conditions on a regular bases. Pregnancy rates such as these are a very good indicator as to the quality of the embryo culture system, physician technique, and the abilities of the embryology laboratory staff. We are extremely proud of our embryology program and continue to push the boundaries of success as we constantly strive for perfection. We work with many carriers to provide patients with services that may be billed to their insurance. We have a team of dedicated staff that can help you with understanding your insurance benefits and investigate the covered services. In most cases, we are able to bill your insurance directly. Some clinics have very few contracts with insurance companies and will ask you to pay your bills in advance. They will then generate a list of charges and expect you to submit your bills. Insurance is often complex and difficult, which puts you at risk of not being able to fully take advantage of your insurance benefit. We make every effort to fully disclose all billing information regarding insurance to the best of our abilities. We are happy to discuss the insurances we accept. Additionally, we can work with your insurance carrier to preauthorize your infertility benefits to determine which services are covered. Insurance benefits for infertility treatment can be complex and confusing. In many cases, insurance carriers may not give us a full explanation of benefits until after submitting claims. In most cases, we do not ask you to pay for these services in advance if you have coverage for the services provided. Insurance can be frustrating and difficult. Ultimately the insurance company dictates what they will pay and what portion the patient pays. Insurance requires a lot of additional work from the clinic and services are usually paid at a reduced rate. Our clinic can request payment from your insurance but we don’t have control over the coverage or determination of benefits made by insurance companies. The internet has become an invaluable tool in the daily quest for information. The amount of information regarding infertility testing and treatment is expanding constantly. Many sources provide reliable and accurate information while others are much less reliable. Infertility treatment is very complex and can not be diagnosed or treated across the internet. Some infertility clinics may make claims to success that may not be accurate. Web sites may be very misleading and offer unrealistic expectations. The internet is a fantastic resource of information, but the information should be scrutinized carefully. Our web site has been written, reviewed, or evaluated by Dr. Ernest Zeringue before publication. We will not make any unrealistic claims regarding technology or treatment options that are not founded in valid experience or the educated opinion of our team. We do not ever intend to give an unrealistic sense of hope, though we encourage hope in a healthy manner backed by realistic estimates of an individual’s chance of success. The infertility community on the internet shares a common goal of helping patients become pregnant. While we are proud of our abilities and success, we do not intend to disparage other clinics or individuals. We encourage caution when selecting a fertility program, and this page is intended as a guide to several different aspects that an individual may find useful in choosing a clinic or doctor to help them in their goal of growing their family.